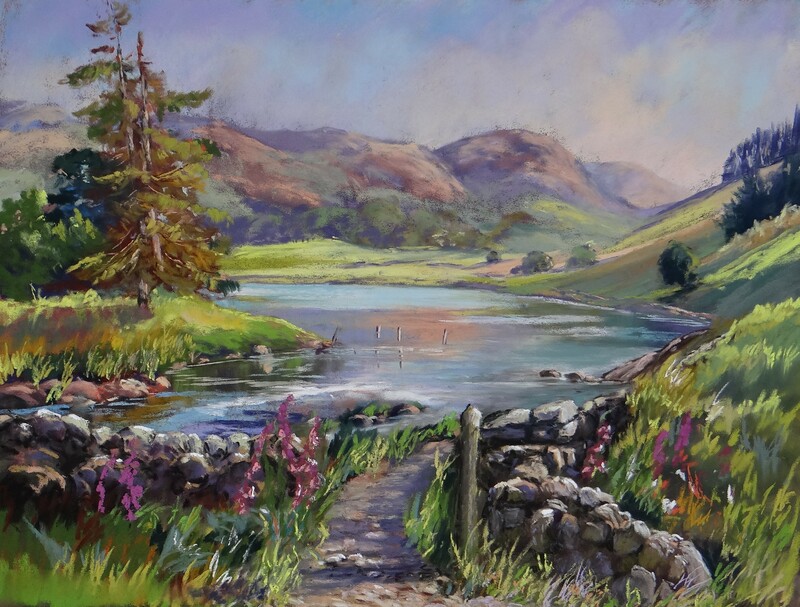 Lakeland Art Courses with Jane Ward, designed for you to experience the wonderful Lake District through the eyes of an artist. Jane will guide and demonstrate painting techniques to enable you to develop and improve your painting skills. The courses are designed for small groups from beginners to the more established artist. This exciting course will be ideal to loosen up watercolours and introduce many new ideas to capture stunning floral scenes and studies. With a visit to the famous Dora’s field at Rydal water to see Wordswoth Daffodils. Suitable for Beginners and Intermediates with Single and Double ensuite rooms available. 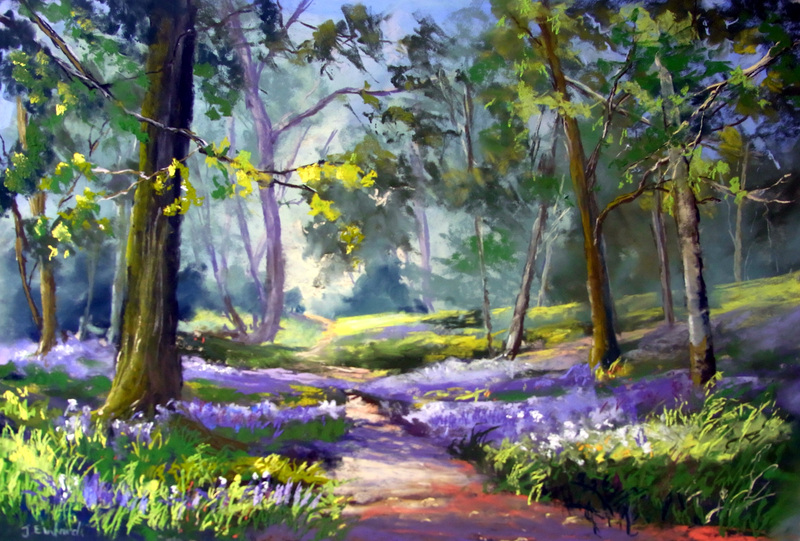 Watercolours and Pastels painting magical Bluebell woods near to Rydal water and Grasmere Lake. Indoor demonstrations and workshops in both mediums and plenty of outdoor on location painting. Wonderful, Colourful, Watercolours experiment with new techniques and colour mixing indoor and outdoor demonstrations in the beautiful Lake District. Lots of Flower meadows, Foxgloves, streams stunning scenery to paint.Suitable for Beginners and Intermediates with Single and Double ensuite rooms available. Price £395.00 including Dinner Bed and Breakfast, staying at the Glenthorne Hotel. A course for the beginner or Intermediate in Pastels and watercolour exploring different papers and techniques. Indoor demonstrations, workshops and plenty of outdoor on location painting in the grounds of the Glenthorne and nearby locations,with a visit to the Lake Artist exhibition. Are you doing classes next year 2018? Hi Sandie, I’m sorry but at the moment I don’t have any courses organized for next year.